Drain tomatoes and put in bowl. Using your hands, open tomatoes and press to remove seeds to keep only the flesh. Throw out the seeds and cut up the flesh into small pieces and set aside. 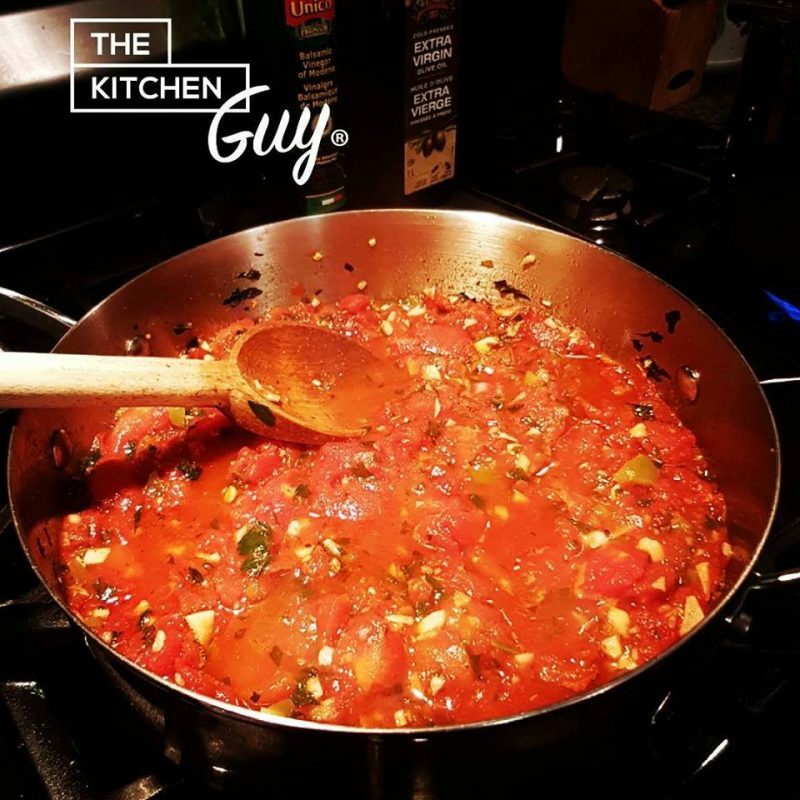 In a saucepan, at medium heat add olive oil then add garlic, hot peppers and parsley. Sauté for about 1 minute (garlic must not brown). Add white wine and stir to deglaze then add tomatoes. Season to taste with salt and pepper. I like it hot so I sprinkle in a bit hot cayenne pepper. Cover and cook at medium heat for 3 to 5 minutes. To adjust consistency, add leftover juice from the drained tomatoes. In the meantime, cook your favourite pasta to al dente. Add sauce to pasta and sprinkle fresh parmesan cheese. Enjoy with a nice Chianti, Montepulciano or even Brunello!! You can always use fresh italian tomatoes (skinned and seedless). Add capers, red onions, fresh basil, olives, etc. Heat things up even more by adding more hot peppers or sprinkling on some cayenne pepper.